Most of you know me by now, I am all about saving money. Just like you, I work really hard for my paycheck and I hate to let it slip through my fingers in nickels and dimes. Because of that, I am always looking for ways to save money, easy ways, set it up and put in on autopilot ways to save. 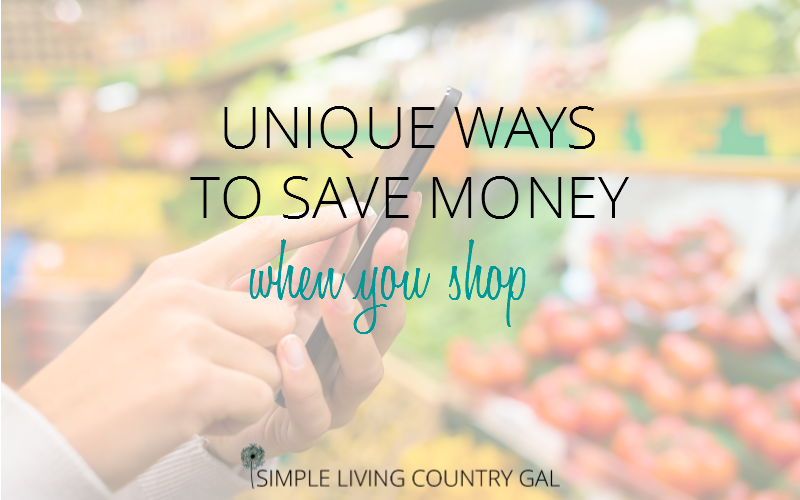 This my money saving pals is a list of crazy easy ways to save……..BIG. Now, I am going to start this list out with my favorite money-saving tip of all time. Ibotta. I LOVE IBOTTA!! If you grocery shop at all and you are not using this crazy simple app you are missing out on some easy FREE money my friend! FYI: My two sons that are out on their own both use Ibotta. They do not like to be bothered with coupons so this is the next best thing. They are saving crazy money (even on Uber!) and they are hooked. If they can do it ANYONE can! The best part is, it is super simple to set up and even easier to use. Dare I say…Cha-Ching? Too corny? Okay moving on. Ibotta is an online money savings app that rewards you for buying things you already buy at stores you already shop at. I am talking stores that are normally not included in rewards programs such as Walmart and Sams Club. You choose the items you are planning to buy from a list set up by store. When you buy you get the savings put into an Ibotta account that you can redeem for gift cards or even cash. Another perk is you can combine these offers with your coupons and store sales getting you a crazy discount on food and other items like personal products and cleaning supplies. And if you sign up using my link here you will get a $10 bonus that will go into your account when you redeem your first offer. Easy peasy! How to set up Ibotta. Download Ibotta to your phone and select your stores. Next, pick some “offers” on items you plan to buy on your next trip. When you choose an offer, you will be asked to read a few words or watch a few seconds of video. After you’ve done this you can add the offer to your list and head on out to the store. At the store, you can open the app right on your phone as a reminder of your offers. Once home take a picture of your receipt and Ibotta will pull out all the items that match your offers. Confirm and you are all set!! The money will magically go into your Ibotta account. Once you hit $20 you can redeem your money in gift cards such as Amazon or have it put directly into your Paypal account. You guys, this is so crazy easy to do! I save an average of $20-$50 a month with Ibotta. I am not adding extra things to my list, I am saving on items I am already buying. They even give cash back on generic items like bread and eggs. Start saving money instantly….BIG money! Another online coupon app for saving money, Saving Star is a great way to get coupons that you can use at most stores that have loyalty cards available. You can check the site to see if the stores you shop at are included. Once you verify your store is on the list you register your loyalty card and you are set. Next, you simply select the coupons you want to use and head off to the store. When you purchase products with online coupons the savings is automatically put into your Savings Star account. This money can be redeemed in gift cards or deposited into your PayPal account. There are not a large number of coupons, but the coupons that are offered are usually for common products that our family at least uses every month. You can sign up for Saving Star here it’s easy and it’s free too! Electronic coupons are becoming more and more popular and I am so excited about it. Electronic coupons are store specific coupons you can either download to your store shopping card or show on your phone at checkout. Not all stores carry or offer electronic coupons so you will need to visit the store’s website to see if they are offered. The best part is most of these coupons can be combined with paper coupons doubling up your savings. I was so happy to see the types of coupons being offered. Store brand items, organic and even meat and produce are top on the list so check them out. Saving money on organic items is easier with this tip! Ebates is an online site that pays you money when you shop online. So basically before shopping at a store, you simply stop at Ebates first. Make sure the store is on their list and enter the store through Ebates. Once there shop as usual and after you check out you will receive cash back on any orders you make. You get paid by check or PayPal and there are no fees ever. There is no fee to sign up and it’s super easy to use. Visit Ebates here open an account and start shopping. It’s that easy. Ebates also has a referral program where you can make money by referring family and friends saving even more. And if you use the link above you will get a $10 bonus at signup. Boom! I love this little-known perk that Walmart has. It is called the Walmart savings catcher and what it does is makes sure you are actually getting the best price when you shop at Walmart. A great and super simple tip for saving money! After you return home from a shopping trip to Walmart, go to their website and enter the receipt number. Once submitted Walmart will scan the prices and if they find a lower deal somewhere else, you will get the difference on a gift card. I get an average of $10-$20 a month. It is a super simple way to get even more bang for your buck. You can try out Walmart’s savings catcher here. Another pay to shop site I simply love is called My Points. Just like Ebates, you can use My Points to do your normal shopping and get points for purchases. These points can be redeemed for gift cards. Another perk is you get emails every day that you can earn points just by reading them. There are also surveys, videos to watch and other simple ways to accumulate points. This is how I purchase all the gift cards I need for Christmas gifts. About $200-$300 each year I am able to purchase just by shopping and reading emails. It takes no time and it pays pretty well. You can also print coupons for grocery shopping and accrue points just by printing and redeeming so it is a win-win. Just another way to save money doing what you already do. You can sign up for My Points here. Earn Gift Cards for Your Online Activity from MyPoints. And because I am an old school girl, I just had to include this little tidbit for saving money. I have yet to run across a store that does not offer price matching. If you do a little homework you can save money quite easily. Before heading off to the stores, do a quick run through of the flyers you have. If you see an item at another store being offered for less, take a marker and circle the item. Make a note in your errand book that you have a price match. (don’t want to forget!) At check out simply show the cashier the flyer and he or she will give you the lower price. Yes, it is that easy and surprising to me how many folks forget to do it. Read: How To Make An Insanely Effective Shopping List! When saving money it is important to look under every rock for the deals that are out there. For the longest time, I refused to sign up for some of these programs. Needless to say, I am kicking myself now for not trying them sooner. They are much easier to set up than I thought and much easier to use than I ever imagined. And now that I see just how they all work and the ways I can use them in conjunction with each other there is no limit to the savings.